Bat removal is not as easy as setting a trap and relocating the colony. It is important to be meticulous when doing bat removal because the bats can fit through tiny little openings. Because of that there is a lot of labor, materials, and patience involved. Price will vary home to home depending on the number of repairs required and the toughness of the job. 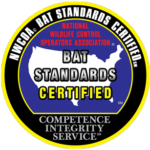 The number of bats you will not determine the price, because all bat exclusions are done the same way no matter if your colony is small or large. Looking for an idea or range of price visit the cost helper or visit our new pricing page. We can give you an estimate range over the phone and a precise estimate will have to be given once we inspect your home. Please call us for further details. 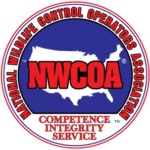 For more information on pricing visit our wildlife control division pricing page at Michigan Wildlife Solutions. What should you do if there are animals in the fireplace? Birds, Squirrels, Raccoon's, Bats in the fireplace are there because there is a crack in your chimney or missing a chimney cap. Don't try to smoke them out! You probably going to end up with a dead animal or an animal in your living space. Call a professional to remove the animal. We can set traps, install one way doors, repair your chimney, and install chimney caps. I hear a loud screeching in my fireplace, do I have bats? Possibly, but 9 times out of 10 you have chimney swifts in your chimney. More often than not this will be a nest of babies that will probably live there until the wings are developed and they can fly. They nest in the middle of the chimney and there isn't any real good way to get to the nest with out destroying in and the young. I have a live trap can I just take it away and release it? Yes you are able to, but in Michigan you must be licensed in order to transport wildlife. Unless you are familiar with the habitat of the animal you are trapping we don't recommend doing this. What if I trap a skunk and don't know how to remove it? Call us and we will relocate your skunk for you and bring your trap back to you. Do you Provide Commercial Bird Control? Yes we do. In fact we are one of the only companies specializing in bird control in Michigan. Our technicians are all schooled in commercial bird control procedures. I have birds in the eves, should I just close up the hole? Do not just seal in the nest. There may be birds in there and worst of the nest carries a lot of bacteria and fungi. Do you Get Rid of Insects? 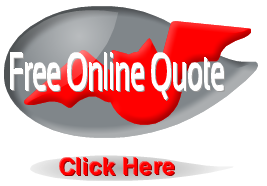 For additional questions or information use our search button at the top of the page or contact us today.